We are Indian family living in Kuwait. When we decided to go a trip in Egypt, we were determined to have a luxurious vacation on this historical land. But we were decided to do it on a low cost as possible too. 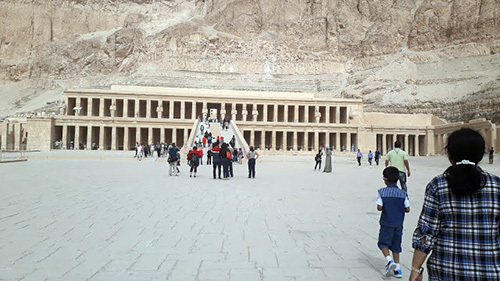 As we began planning a week Egypt itinerary and estimating prices, we understand that there was only a negligible difference in price between quite luxurious vacation in Egypt and on a low budget trip. Family of four, including 2 kids needs lots of detailing in searching prices. Kids more than 12 years is considered as an adult as per travel documents. In my case my daughter is just crossed 12. But still we managed to get good deals. We began discovering some great deals, which would allow for an incredible trip to Egypt on a budget. Kuwait dinar is fairly strong and is respected. A devaluation of the Egyptian Pound only further helped to make the country a fantastic value. Before in 2014, a Kuwaiti dinar is equal to about 20 EP, Now it’s about 60 EP. We started our search with sky scanner, it’s a great website. But we never booked from that site. Reason, got lower prices at the last moment. I got a return ticket for 60 KWD (around 12200 RS) From India less than 20 thousand Rupees is possible if you search a lot. From Kuwait I got attractive deal while searching in sky scanner. A total 240 KD for a family of 4. This airfare included one domestic flight plus two international flights. I will reveal the tips to reduce the costs. If you are staying in any western country and returning to India, you can opt a 24 hr stop over without any extra cost of accommodation or food. Egypt air will provide this and you will be free for that much time which is quite enough for a visit to the great pyramids and Museums. Timing: Avoid hot summer. In Egypt its scorching hot and long holidays for schools, so ticket rate will be very high. Avoid Christmas vacation and January. Cold and holidays make high tourist influx. Rates are too high again. Airfare and hotel rates will be better from February. February to early March is ideal as weather changes into a small spring season with good pleasant atmosphere. But I could not select that time because my kids having exam in early March. But, still 2nd half of March providing a small 2-week vacation for schools in Kuwait. We managed to plan a luxury Egypt week itinerary for a budget of about 150 KD (30 Thousand INR) per person. This budget includes all expenses, accounting for everything from bottled waters and tipping the bathroom attendant, to an entire luxury Nile River cruise, 5-star hotel in Luxor, and 3 star Cairo. It’s pretty incredible how far your money can stretch in Egypt! This article is based on some observations of John Widmer who is a backpacker roaming around the world. We got great tips from his travelogues. Everybody asked me before and after our trip some universal questions. How much it costs? Was it any kind of package? How about travel planning, pick up from airport or separate tours to the sites? Is it safe for kids? What in the case of emergency? Who will take care about our trips? I Can’t answer all these questions now, but as you read on, you will understand it. 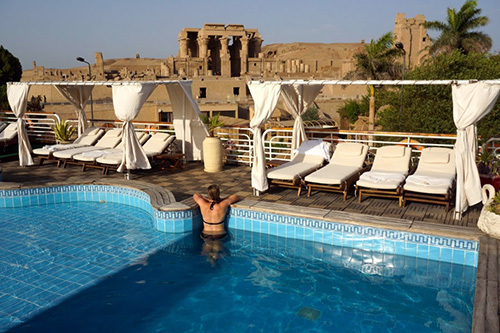 Although relatively inexpensive, Egypt can be a notoriously difficult country to travel in, particularly during summer months. You will encounter extreme heat, some of the most persistent touts we’ve encountered, and the need to haggle hard over just about everything. It’s unlike anywhere else in the Middle East we’ve traveled to and it can all become exhausting! Prices in Egypt are such that it can be very affordable to make yourself much more comfortable than in this land. So we strongly urge you to do just that. We found that stepping up your comfort level and doing a little planning can often make the difference between an enjoyable trip to Egypt and a miserable one. If you are single male, you can choose a backpacking trip. Backpacker accommodation in Egypt can be pretty good throughout the country. Lots of Westerners doing it. If I were alone or without my kids, I will add a trip to a sea side resort. It was absolutely heavenly to be able to unwind in such a relaxed environment as a Red Sea resort, snorkeling by day and sipping beers by night. For family, things are little different, but when you can stay at a 4-star resort at prices that are less than the cost of a hostel bed in many places around the world, Egypt is lucrative, (starting at KD 12 per person per night), and includes all of your meals and even sometimes unlimited alcoholic drinks. Beer seems very cheaper there. Best way I found is combining two styles of travelling. Most people’s travel style seems to be firmly planted as either backpacking independent travelers or those who prefer packaged tours with luxury. But it doesn’t have to be one or the other. We’ve found that Egypt can actually be a perfect place to combine these two mindsets together for a fantastic semi-DIY trip to Egypt, incorporating the best of both worlds and maximizing value! A week of touring around ancient Egypt’s many sites and the sheer craziness of Cairo, you may add some spice in your tour. Visit a resort in Redsea is the best idea. Our tour was great and it is filled with touring all of those famous pyramids, temples, and museums, you may grow exhausted. Especially for children. So we recommend trading in those ancient sites to instead explore some of Egypt’s natural wonders in the underwater world. for that you have to travel to Hughada or Sharm al sheikh. The Red Sea beaches provide a wonderful contrast to the first week’s intensive touring. We avoided Alexandria,because of some obvious reasons. Right now is truly a special time to travel to Egypt. The Jasmin revolution and unrest subsided. Tourism industry is waking up. Not only are the prices low, but so are the tourist crowds that once swarmed the county’s most notable sites. Today you can visit the Great Pyramids and have them nearly all to yourself to enjoy. It’s absolutely incredible! 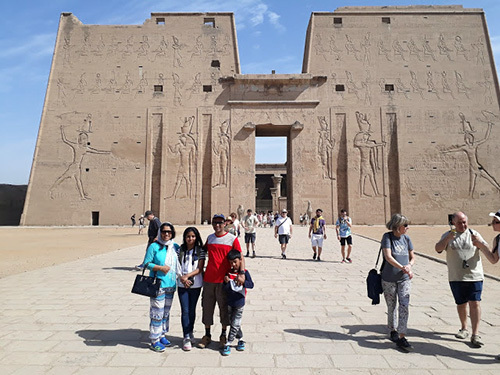 So come take an in-depth look to see how to have a little luxury while travelling Egypt on a budget of KD 150 (INR 32000) per person during one-week itinerary in Egypt. A two-week extension will cost only near 50 KD in additional. This Egypt itinerary is almost exactly what we followed ourselves. we did maximum time conservation. The only difference between our exact trip and our recommendation here, is that we advise traveling to and unwind at Hurghada Red Sea resort. Day 1: Arrive into Luxor in the early morning. Day 4: Book train ticket to Luxor. Reach Luxor by 11 am. Check in your Hotel. 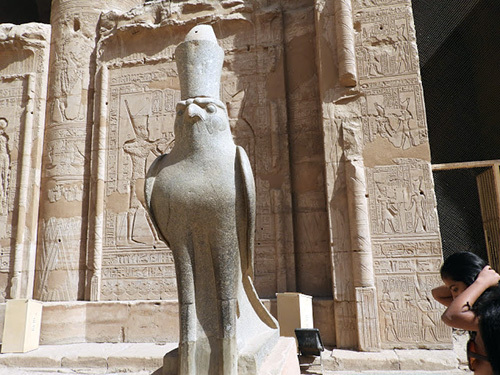 If interested, sightseeing around Luxor and Karnak temple. Day 5: Morning Fly to Cairo, visit Egyptian museum on the way to Hotel at Giza. Check in and Tour Pyramids of Giza. Spend time to watch the Evening Light and sound show at 7 pm. Do shopping. *Add an extra day in Aswan to make the journey to Abu Simbel (which tends to be a highlight of Egypt for many). *Add an extra day in Giza/Cairo to explore additional sites such as the pyramids around Saqqara. 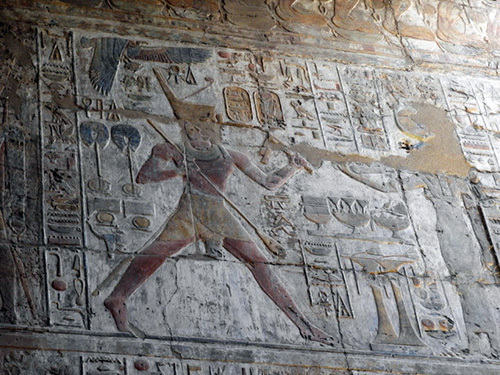 *Consider extra day in Luxor to explore more in this ancient city. *Do it in reverse! If so, we’d recommend a reverse tour after considering the availability of flights and its lowest prices. * 1 week at Redsea resort, travel to Hughada or Sharm al sheikh. How to cut cost in air ticket? multi city booking instead of two way tickets. This option is easily searched from the site Skyscanner. Try different forms of timings and combination of flights. In my case I got a very low priced ticket from Kuwait to Luxor and Luxor to Kuwait. I went for the extreme, that our return flight has a special feature. I selected a flight with long stopover at Cairo, more than 24 hours. Like this, if you choose one, in this 24 hours you will get sufficient time to explore Cairo. Bear in mind that dates of your cruise trip should be coincided with the flights timings. After identifying suitable flights in sky scanner you can try in different websites for further bargaining on flight booking. 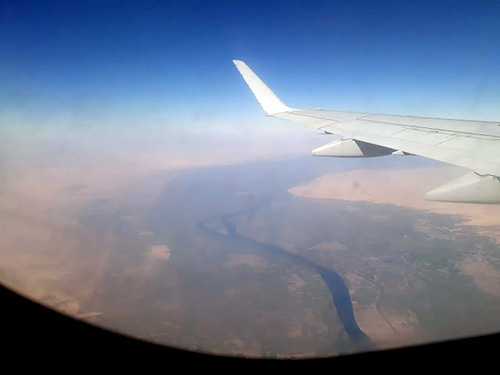 In our case Egypt Air provided the best timings as well as cost. A 3-way ticket from Kuwait cost only 56 KD (12500 INR) per person. Best option to book a cruise by a great website called Viator, a subsidiary by TripAdvisor. If you book, they will take care about the cruise and individual tour operators. Actually Viator integrates many tour companies and cruises. We don’t need any other to select a best cruise or best rate. All they will decide in reasonable rate. If you attempt to bargain separate tour companies, time and phone call will make a miserable feeling. If one boat is not available, they will take care to accommodate in any other boat. So first 4 days are booked for US dollar 250 per person for entire 4-day trip including cruise, food and tours. Once you booked, Viator will give our names to some tour company and they will contact you by mail and phone calls. In our case it was Middle East tour company. If you have some guts, you may further try an independent bargaining with other tour companies. 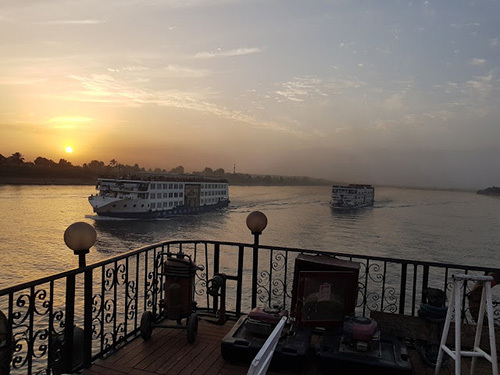 Once you get on board your Nile cruise, travel will become much easier, as the next several days are completely planned out for you, so you won’t have to worry about a thing. Just get on the ship and enjoy! Day 1: Our flight from Kuwait was at 4:05 Am and arrived on correct time at Luxor airport at 5.50 Am. We had a good breakfast on flight. We used airport washroom to freshen up. Our tour company guide and driver were awaiting to take us to the West bank, to start early as possible. We got a small problem of Egyptian Money as there is no money exchange opened at Luxor Airport. The private exchanges in town will be open before 8 am. So our guide helped us and gave a loan of EP 1000. I agreed to return the money after our visits and when banks are open. We crossed a bridge across the Nile river and driver stopped near to a village to buy some sandwich for himself. Our guide took us to the valley of Kings, and the Colossi Memnon and Temple of Queens. He stopped in between to some kind of a factory of stoneware making. The factory owner gave generous amount of black tea/ fruit juice and that was enjoyed by kids. But we were not in a mood of shopping and after 15 minutes, we said goodbye to the shop keeper. Temple of Hatshput was a magnificent sight. First incidence of cheating happened here. We bought a half liter of drinking water at a shop inside temple of Queen's compound. Spent 20 EP for that. Later we found that the same amount is enough for 4 one liter big bottles in Luxor town. If you attempt like us, no need to worry about the luggage while visiting the temples. It will be safe in your van. My advice is just click a photo of driver or registration Number of your van. This will be helpful to find the van later. Before embarking the cruise, we visited Luxor town and to a bank for money exchange and bought some water bottles. Bid farewell to guide and driver with some tips for the services. We got checked in to our Nile River cruise about 12 15.pm. Its a five star cruise but a different having a name (M/s Gezelle) than we got informed. Its a 5 star cruise with 5 star facilities. Had wonderful lunch and settle into our room. Ship began its sailing about 1.30 when we were busy with eating our luxurious Lunch. Full afternoon is ours for relaxation. Day 2 : Slept neatly. Day break was wonderful and delighted to watch it from our bed. If you open the windows you can smell fresh air with cool breeze. 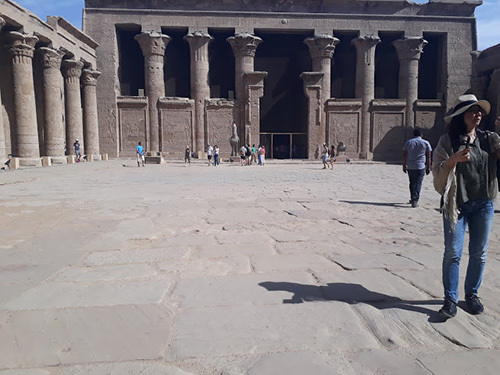 We found that ship is docked at Edfu and after breakfast at 7 am our tour guide took take us to Edfu temple. It was not like all the people will go with one guide as we thought. 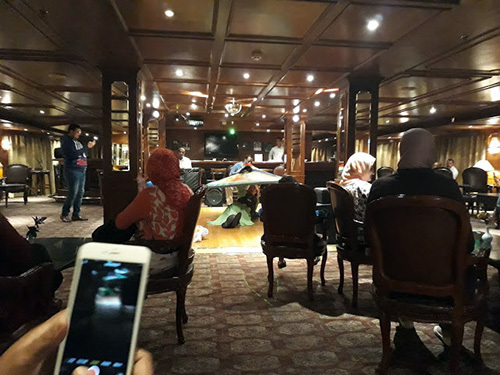 In the same ship, there were more than 100 people staying but they all belong to different tour companies. Each guide will come and they will pick their respective tourists. Our group included we four, and one lone lady from Mexico. After breakfast on the ship, our new guide took us to a horse carriage and ride to tour the Horus Temple in Edfu. The horse driver will be very friendly and allow us to hold the harness and he will assist to take Photos. All this understandable. When leaving, he will ask a tip. We had a Egyptian massage session on the spa in ship. It last for one hour. As sun get hotter we went to swimming pool and kids enjoyed. Before Lunch, we sat at main reception area to send some photos in social media. Wifi is available but not in inside the room. We took a nice lunch and relaxed in the rooms. A more relaxing visit and walk at evening followed, when we visited Kom Ombu temple and Crocodile museum. A shopping at small shops along the bank is also recommended here as we found the cost is less than other places. At Night dinner and dancing party. Slept nicely with while our ship sailing towards Aswan. Day 3: You will be amazed when you are reach Aswan in early morning. You may think, this will be your destination, oh so early. But two more days here. Relax. If you booked to visit Abu Simbel, your tour guide would have arrived at around 4 AM at ship's reception. Your breakfast is packed and given as a box to have it on the way or during the trip. A luxury Minivan will be ready to take you with some persons from another boat. Long journey will follow in the desert and you can sleep a little. 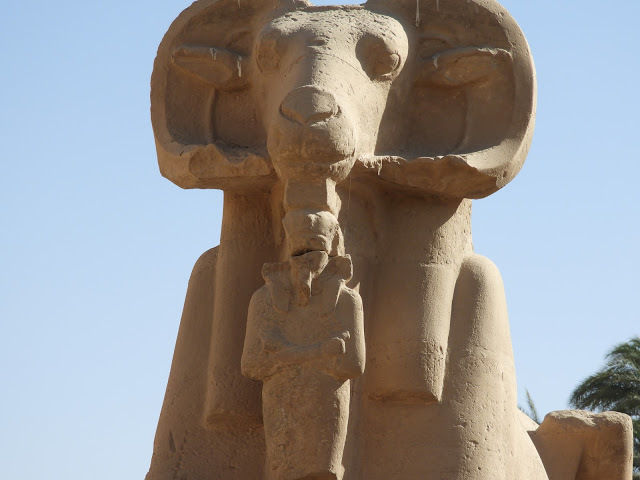 Abu Simbel trip is a must but can be omitted if your kids will say, "too much History". Even one of the parents can stay in hotel room for relaxed morning. 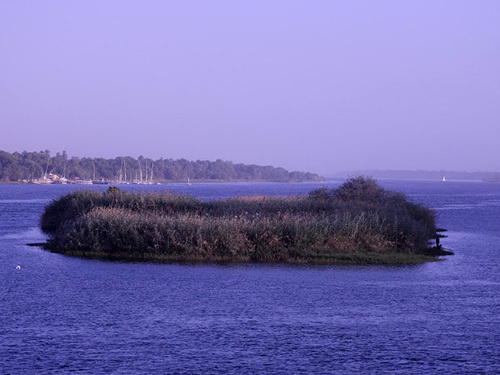 After breakfast, alternately you can have a felluca ride in Nile to the nearest islands. Lot of locals will come and offer if you dare to explore. The above two activities are not belonging to the package and you have to do it your risk and cost. 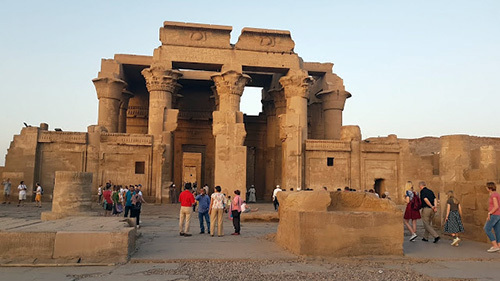 Have lunch on board and visit the Aswan Dam, the unfinished obelisk, and then the Philae temple. On your return, your minivan will definitely stop at some so called Perfume factory. Very concentrated perfume oils available and it is nice idea to entice friends and relatives to gift some small bottles of such oils. Evening will be free and you can wander in the streets of Aswan. Remember, you should book your train ticket for next day's travel. I booked the ticket to Luxor for the 7.30 am train towards Cairo. If you have enough time you can book at 3 pm train. Beware, no trains in between. Beer can be bought at some a shop near to the railway station and it is very cheap. The night is so special as there is a grand dinner and following entertainments in the middle deck. Belly dance performer will be there to entice along with her crews. Soofi dance performed before the Belly dance. Belly dance is enjoyable to the entire family and its not a taboo to participate and dance with here. In our cruise some of the Muslim ladies and kids danced with belly dancer. Slept nicely. Kids watched movies in the TV till late night. Day 4: After a sound sleep on the ship, we checked out at 7 am. While check out, the receptionist gave an envelope to put our tips to the crews. Here in this ship you need not give your gratitude for each services individually. As a rule, 3 US dollars per person per day is normal tip. So we have to give 16 USD per day. Its not compulsory, you may not put anything in the envelop. We put a total of 50 USD. Our lunch boxes are handed over and we hurried to railway station. We have only 10 minutes to the scheduled train departure, we thought it will be a good idea to travel in a horse carriage w for 10 EGP, but it turned to be a time waste as our old horse is simply walking not more than we could. It s about 500 meters distance only and we regret. Our train was ready on time and we got our seats near to a windows. Ticket examiner came and checked the ticket. One good thing is you can board the train without a ticket and you can buy it from train conductor with a small increment of ticket price but according to availability. There is pantry service in the train. Our train was an express train towards Cairo and having 3-4 stops only between Aswan and Luxor. We reached on time at 10 Am. Outside the railway station, its tough time to bargain to taxi and touts. A 25 EGP is all required to our hotel by taxi. After check in the room we relaxed a little till lunch . We stepped down in the afternoon adventures. By this time our tour guide tried contacted us and given a message to hotel that he will come at 3 pm instead of 12 pm, as agreed earlier. But we missed the message and so our guide. We went our own to visit Karnak temple. Luckily we saw our guide there with a British family. After visiting Karnak Temple, our guide brought us to a so called Papyrus Museum. We bought some mementos from there, and proceed to Luxor temple. We didint give any tip to the guide as he not arrived at time, and it seems he didn't expect that. We visited Luxor market for tourists for some shopping. Our hotel is very near to Luxor temple and Mummification Museum, We walked on streets in the early nightfall and visited Mummification museum on way back. This night we wanted to try something different for dinner as five star food on previous days made carving for local tastes. After reaching hotel, I alone went to the streets again to buy sandwiches and shawarma. Later in Night, we visited the Bar in the hotel from where you can have ice creams, sandwiches and beer. Wonderful day, finished with a good sleep. Once I tried to get Egypt tourist from Egyptian consulate at Rawda. The lady staff there told me that you must needed minimum 500KD salary for the eligibility. Any information regarding this? The local Egyptian food on the menu in our hotel (pyramids Inn) is not only shockingly well-priced, but is also a very tasty introduction to local cuisine. koshari, shwarma, falafel, and fatuous salad all come highly recommended by us and are priced at only about 10-20 LE per item. Our hotel given free water bottles too. Know Before You Go: While the food items are very reasonable, drinks (even bottled water) are still a bit overpriced, so take that into consideration when ordering. 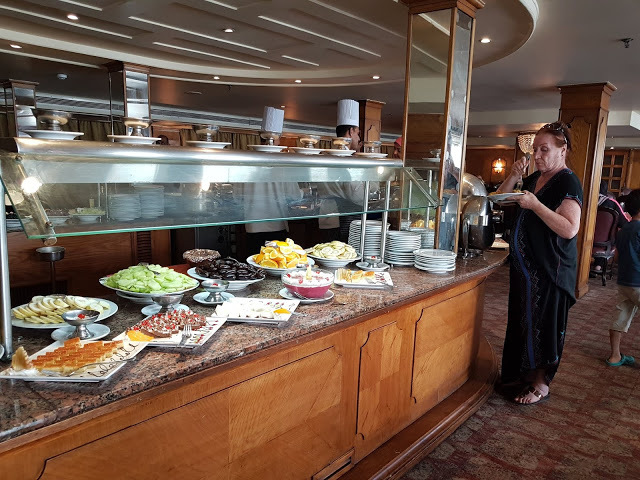 If you take our recommendation to stay at Pyramids in , the breakfast is included. They will even pack your breakfast very neatly if you check out on an odd hour. We took that advantage and ate it during the leisure time. There are also some reasonably priced pastries at the resort’s coffee shop you can snag on your way out to the Great Pyramids. just outside the hotel in the evening you’ll find a pleasant night-market-of-sorts with cafes and tables in the median of the road. Despite being so close to the major tourist attraction of the Great Pyramids, you’ll find a surprisingly local environment here that is refreshingly both void of tourists and hassle. Downtown Cairo has plenty of local eateries that are both delicious and easy on the budget. You can find countless restaurant recommendation in Cairo online, so we won’t attempt to do it injustice within this travel guide. 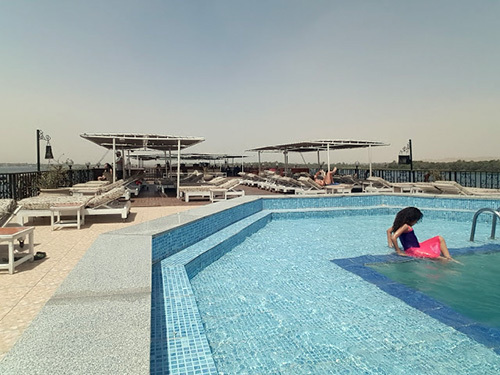 Location: The Great Pyramids will most certainly be on your list of things to do in Cairo, and being close to the pyramids will allow you to get an early start to beat the heat. You can even walk directly from your hotel and not to have to deal with deceptive taxi drivers. And it can be pretty special to look out your hotel window or go for a swim in the pool while having those ancient marvels as your backdrop! Value: The hotels near the Great Pyramids tend to offer better value compared to those in downtown Cairo. Calm: Downtown Cairo can be a maddening and hectic place. Meanwhile we found the suburban area around the Pyramids to be more tranquil. Safe: Our research found that the majority of occasional incidents in Egypt have occurred in the downtown Cairo area. While such occurrences are infrequent and not targeting tourists, it may be a safer bet to stay outside of the downtown Cairo area. Book Your Own Way: If you don’t want to deal with the points game in your credit cards or don’t qualify for that offer, we still recommend if you can find a good price during your travel dates. Egypt is cheap. Do not entertain travel agencies to book your hotel or transport. you can book your self for everything. At the time of research, we found the best rates in Bookings .com. Just go through HotelsCombined.com, also for price comparison which searches all the main booking sites, and almost found same. you can have 5 star hotels around Pyramids. But our personal choice was Pyramids View Inn.This small Hotel known for the friendly owner’s warm hospitality and affordable prices. Perhaps best of all, it couldn’t be better located. It is right next to the Sphinx entrance to the Great Pyramid site. An Even More Budget-Friendly Option Directly at the Giza Pyramids: If you’re paying your own way and looking for a more budget-friendly accommodation, then we suggest the Sphinx Guest House Giza. The Sphinx Guest House may not be quite as comfortable to families but this is a good choice for bachelors those seeking a more independent option and wanting to save. You explained a lot specially about expenditures which basically no one reveals. A tourist visa to Egypt cost 15 KD (about Rs 3100) per person. You may apply 30 days prior to your trip to the Egyptian Embassy in your country. Normal tourist visa for one month only. For Indians residing in US or UK can avail Visa on arrival. A group more than 10 members manged by a travel agency, May not need visa. If you residing in India you may apply to Egyptian Embassy ,New Delhi through some travel agent in your town. You need the following documents and check the things before going to the Consulate. First, book a hotel where you supposed to stay and take a print out (Do it online , do not pay any money, you can easily cancel the same after visa procedures) If you have finalized your travel dates you may book your flight tickets too. 1. 6 month valid Passport original and copy. (Passport will be held in the Consulate for about 4 days.) Check your and family''s Residence expiry ! 7. copy of flight tickets. For your dependents, make one set for each one.Some times they will ask relation certificates. Husband and wife should be present in Person. Egyptian consulate in Rawda is a mess, you may go early before 8 am to avoid rush. Every notice boards are in Arabic. But you may find easier if planned well. After security check go straight to first floor and take 4 tickets from the queue machine. The display is Arabic, but I remember the first button with Arabic letters ''Thasheera "is for visit visa. Press it . Get your ticket. If you dont know ask help from the officials. you may have to wait more than 1 hour. Use this time to go basement floor to buy visa application form,near to a photostat machine. Come back and now you can start to fill the form. After an official cheks your applications you passport will be held the and a receipt will be given. the Visa will be stamped and can be avail from basement floor after 4 days.